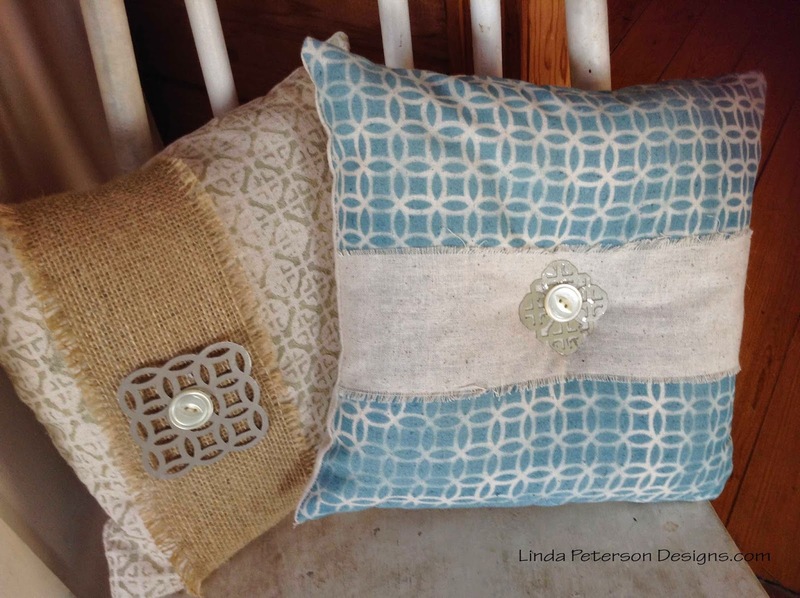 DIY home decor projects are HOT! and if you’ve noticed some of the trends lately, Industrial Chic decor is TRENDY and popular, especially among those living in small spaces and loft apartments. 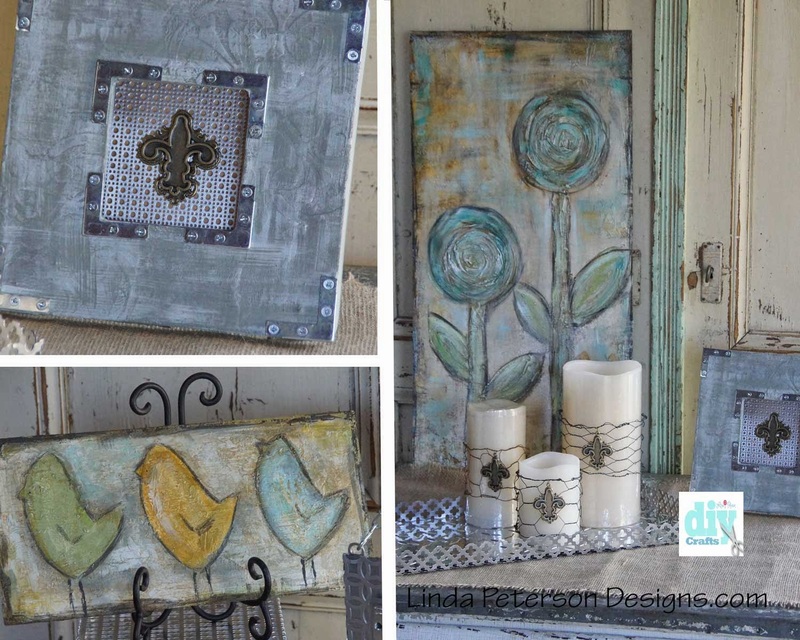 I happen to love both of these styles of decor and combining them with our rustic style home here is SW. Missouri! I met the girls, Tracey and Christine from MD Hobby and Crafts at this past CHA. I visited their booth, saw their awesome metal sheets, chicken wire and other products and knew we would be a perfect fit to work together. Love how these designs even combined with one of my favorite companies – Spellbinders! 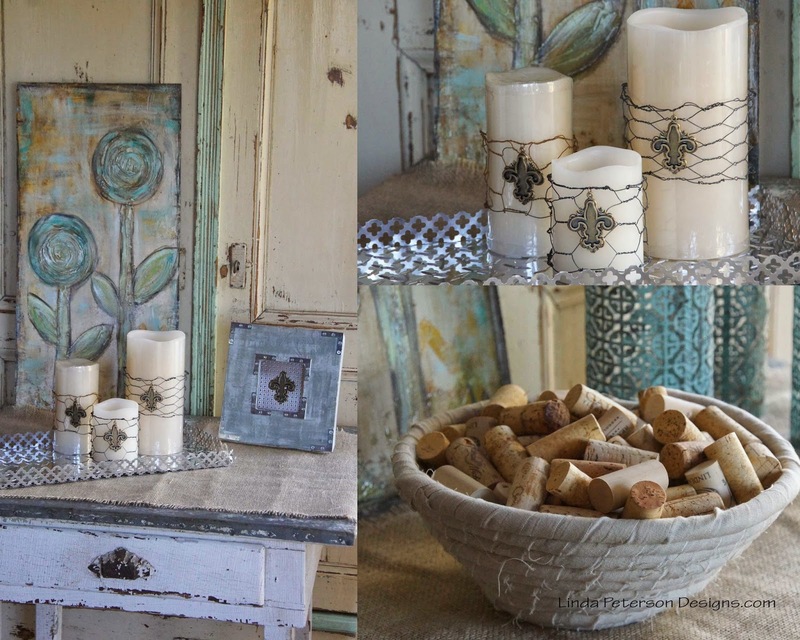 The frame and chicken wire wrapped candles are made with a new bezel from the A Gilded Life collection. Now, below you’ll see the same projects just styled in a different way and give a totally different look! 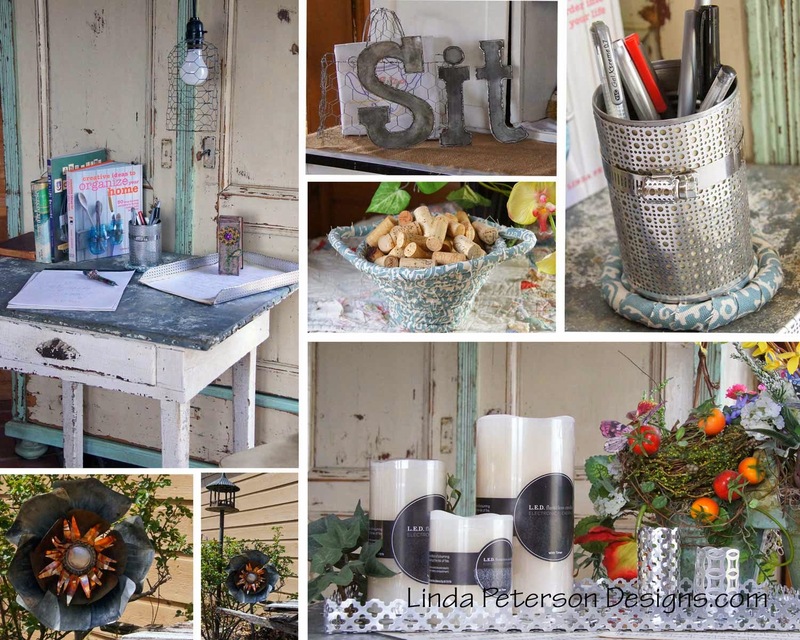 From Shabby Chic to Industrial Chic in minutes! I cut the word “sit” out with one of my brand new power tools (yeah love those power tools) and soldered the edges for a trendy and friendly reminder to just sit back, relax and take it all in. A little better picture of the wall art ( posie painting on top) (Birds of a feather picture a couple of shelves down). Even made our own metal drawers with vintage style knobs using the aluminum sheets with the cloverleaf design. I proposed the bookshelf made from iron pipe and their metal sheets and I think it turned out AhhhMazing! You can find their products at Hobby Lobby and Lowes. I’ll be sharing how-to make metal projects on my youtube channel soon! Disclaimer: I was compensated to create these projects by MD Hobby and Craft – the views are my own. I only work with products I stand behind and use in my own personal life.